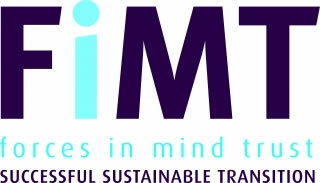 Forces in Mind Trust (FiMT) has awarded a grant of £31,500 to Ulster University, to produce a report on public attitudes towards ex-Service personnel in Northern Ireland. Currently there is no evidence base which provides insight into how the general public view ex-Service personnel in the region. While work has been done to assess public attitudes towards policing in the years following the Good Friday Agreement, there is no equivalent for ex-Service personnel. The report will be based on answers generated from the Northern Ireland Life and Times Survey (NILTS), the largest public attitudes survey in NI, and covers a range of modules on community relations and attitude towards particular groups in the region. The grant from FiMT will allow the inclusion of 30 new questions, to provide an insight in to public attitudes on serving and ex-serving personnel and principles of the Armed Forces Covenant. Cherie Armour, Associate Dean for Research & Impact, Ulster University, said: “This award will ensure that we gain important insights into public attitudes in Northern Ireland around the Armed Forces community & the Armed Forces Covenant. The research team have previously heard anecdotal statements about the percentage of the population in NI that do or do not support the Armed Forces community and there has been extensive discourse around the Armed Forces Covenant. This award will allow us to provide evidence on these topics. The team are delighted that this research is complementary to the ongoing work of the NI Veterans Health and Wellbeing Study”. Dr Cherie Armour is available for interview. To arrange please contact Lindsey Beacom, PR & Communications Officer at University of Ulster on lj.beacom@ulster.ac.uk or on 028 9036 6467. FiMT awards grants (for both responsive and commissioned work) to support its change model around 6 outcomes in the following areas: Housing; Employment; Health and wellbeing; Finance; Criminal Justice System; and Relationships. All work is published in open access and will be hosted on the Veterans Research Hub at Anglia Ruskin University, which is going live in Autumn 2017. A high standard of reportage is demanded of all grant holders so as to provide a credible evidence base from which better informed decisions can be made.